If a recognisable children’s literature requires a recognisable childhood, and should not be totally shared with adults, then we might argue that English-language children’s books only emerged in the eighteenth century, with British publishers such as Mary Cooper and John Newbery. 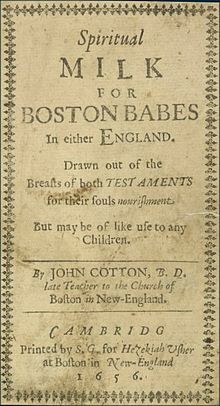 The first book ‘especially prepared for North American youth’, John Cotton’s Spiritual Milk for Boston Babes, was printed in London in 1646. The earliest picture book for children is sometimes thought to be Comenius’s Orbis Pictus, published somewhere around 1657. Open Culture believes it was published 1658. Orbis Pictus is available via Project Gutenberg if you’d like to take a look. The first commercially produced children’s book printed in English was Newbery’s A Little Pretty Pocket Book, in 1744. It came with merch. Boys got a ball and girls got a pincushion. This suggested that boys and girls would read the book differently. The gender bifurcation in book marketing continues to this day. The first Chinese children’s writer was Sun Yuxiu, an editor of Commercial Press, whose story The Kingdom Without a Cat was written in the language of the time instead of the classical style used previously. Yuxiu encouraged novelist Shen Dehong to write for children as well. Dehong went on to rewrite 28 stories based on classical Chinese literature specifically for children. In 1932, Zhang Tianyi published Big Lin and Little Lin, the first full-length Chinese novel for children.